Your top priority as a parent or grandparent is to protect the children you love. To help you do that, Debra Holtzman has written the ultimate new parenting resource: The Safe Baby: A Do-It-Yourself Guide to Home Safety and Healthy Living (Sentient Publications, 2018). This one stop, easy-to-read book provides simple-to-implement solutions and money savings tips to keep children and pets safe, healthy and happy. Debra Holtzman, a nationally recognized child safety and health expert, lets you focus on the joys of childrearing by allaying your fears. Her warm, breezy style makes it all fun! These and many other aspects of safety are addressed in a down-to-earth, do-it-yourself manner that will empower you. Debra Holtzman is an expert, but she’s a parent, just as you are. You’ll say, “Here’s a mother who has been there. If she can do it, so can I!” You’ll soon be sharing this book with your friends! 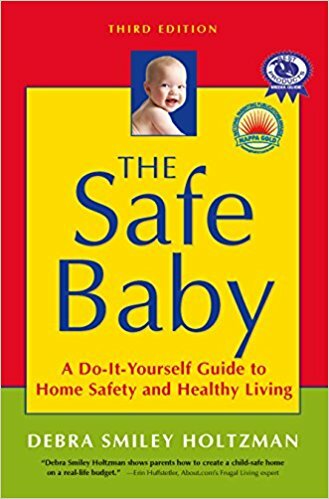 The Safe Baby won the National Parenting Publications’ Gold Award, one of the country’s most authoritative consumer-awards recognizing the best in children’s and parenting resources. The book was chosen out of a field of six hundred entries in six categories.